On Friday, varsity baseball player Ryan Morash '18 broke the school’s all-time hits record in a matchup against Oratory Prep at home. Against the backdrop of a warm spring day, the four-year starter laced a double into left field in the fourth inning to reach 114 hits, topping the record previously set by Matt Taylor in 2016. Morash had three runs, two hits and an RBI for the day. 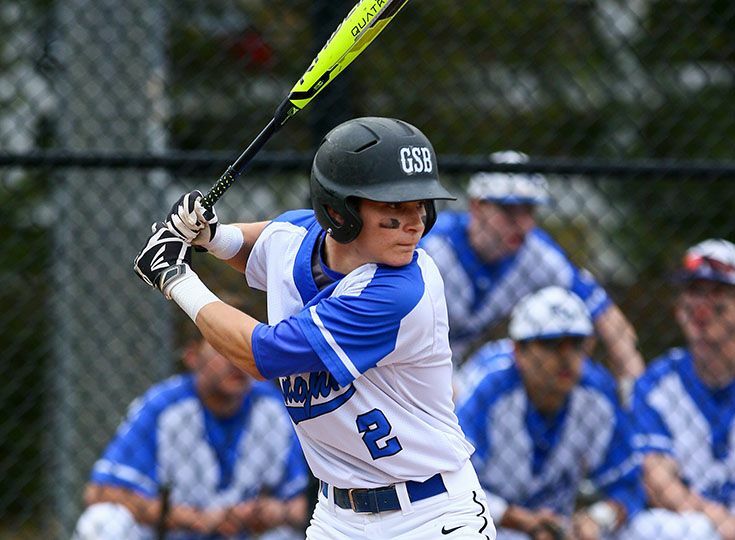 Last season, Morash was Gill's leading hitter, breaking the 100-hit milestone in May. During his four-year career with the Knights, he has helped lead the team to three consecutive Mountain Division championships and was a key contributor to the 2016 team, which reached the NJSIAA sectional finals for the first time in the school’s history. Next year, Morash will continue his baseball career at Division I Hofstra University. The 2018 Knights are off to a great start this season, winning five of their first seven games, with the second round of division play and Somerset County Tournament looming in the coming weeks.